Let your cherished beliefs shine for all to see with the Faith Is Believing Diamond Pendant Necklace. Exquisitely handcrafted of solid sterling silver, this religious cross pendant features an original design with 18K gold plated accents. 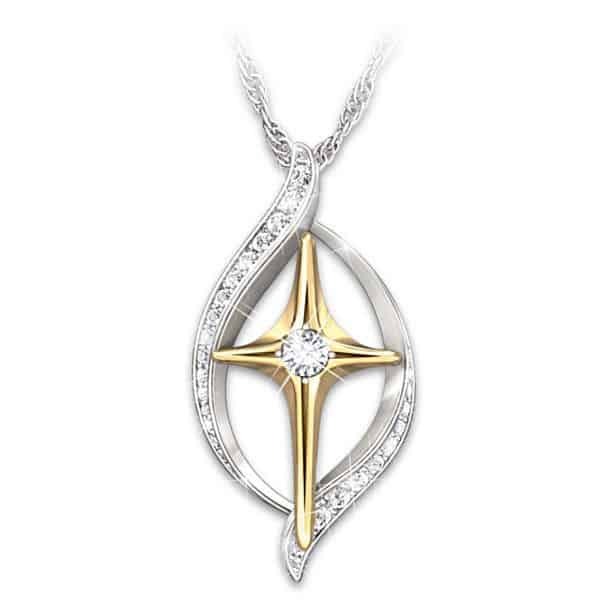 Set at the center of the cross is a gleaming genuine diamond. Two sparkling curves frame the cross, adding to its radiance.